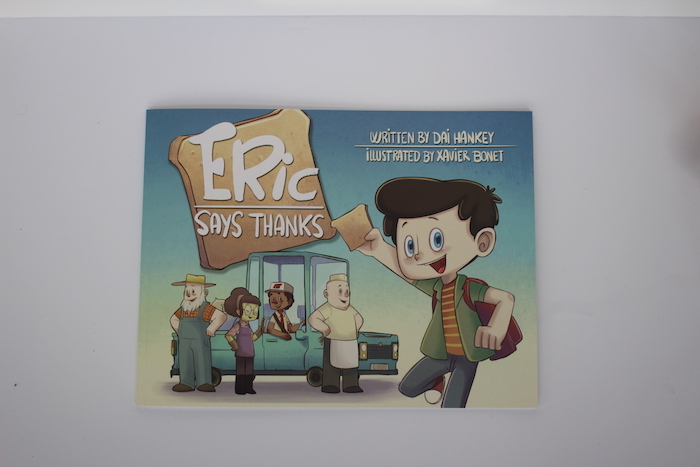 Hola chicos, we were recently contacted by the lovely people at The Good Book Company and who kindly asked us if we would like to review a copy of their book Eric Says Thanks. We love books so we immediately said yes to this opportunity. 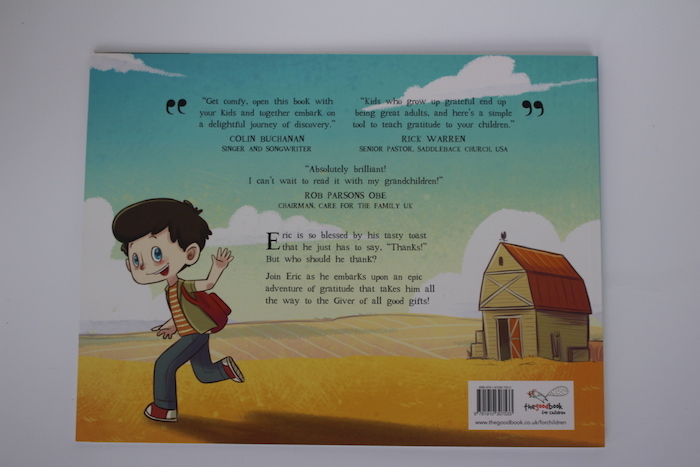 Eric Says Thanks is a fun, rhyming storybook that introduces young children from 3 to 7 years old to God as the giver of all good gifts. 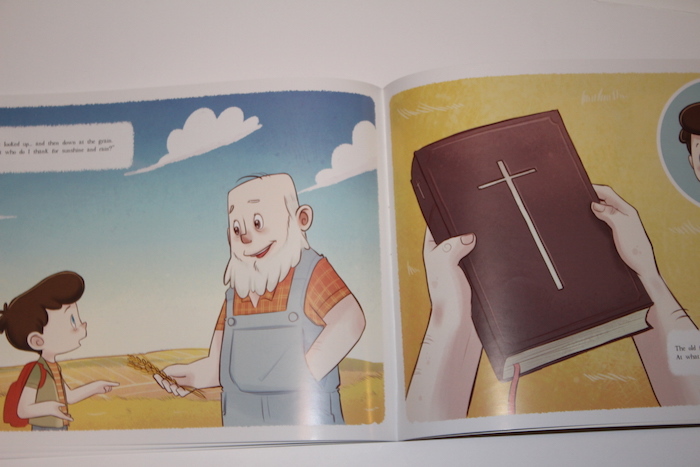 It is a book written from a Christian perspective, but would be suitable for families from all faiths and none. 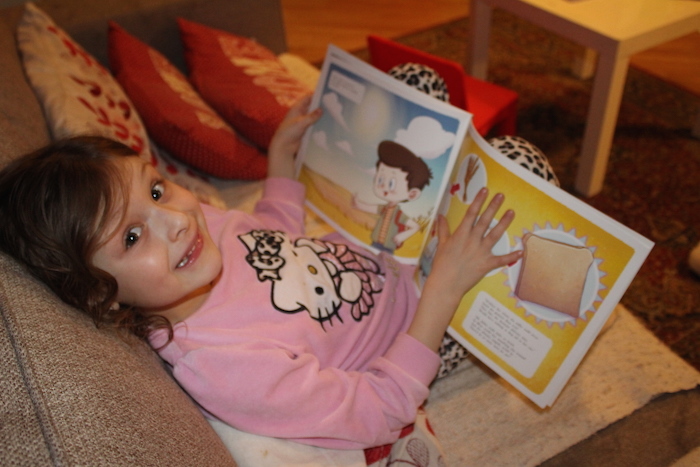 When we received the book I saved it to read at bedtime which is the time that Bella has a reading moment with Mummy or Daddy. 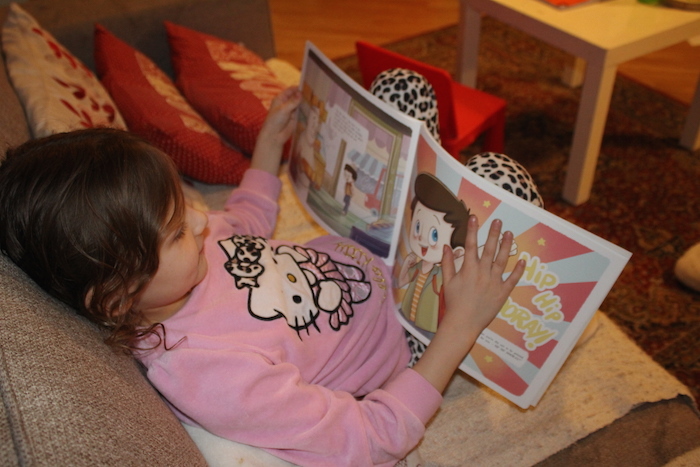 She has improved so much her reading that she can now read on her own much more. As soon as she was ready in her pyjamas she asked me for the book which I happily gave to her. Bella and I enjoyed this book which is about a boy called Eric who wants to say thank you for his tasty toast. I think it is very important to teach our children to be grateful and to learn when and to who to say thank you. It was nice to see Bella understanding about good manners. At the back of the book there is a verse, a game and a prayer which I thought that this was a nice idea. Bella read the verse, played the game and also repeated the prayer. She is now in the perfect age to learn about how to pray and to say thanks for the nice things that have happened to her during the day. I was pleased that she learned this too. 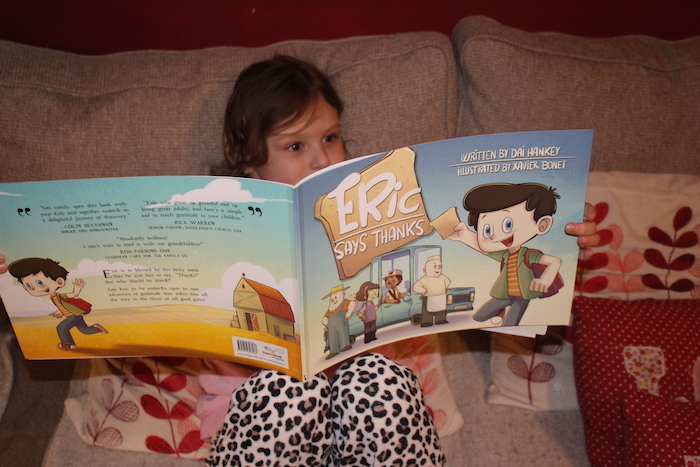 Eric Says Thanks is written by Dai Hankey who is a Welsh pastor and is also a DJ and rapper. Dai’s first book for children uses his rapping gifts to create a fun, punchy story that young children will love to listen to. He has written books previously, but this is his first one for children. It is illustrated by Xavier Bonet. You can buy this book directly from The Good Book Company with a price of £5.99 for a paperback copy. You can also get it from Amazon for £6.99. If you would like to know more about The Good Book Company you can also find them on Facebook or Twitter. You can also find Dai Hankey on Twitter. 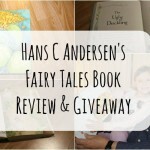 If you love seeing your kids reading new books and learning new values, then this book could be perfect for your family so why not enter my giveaway!!! 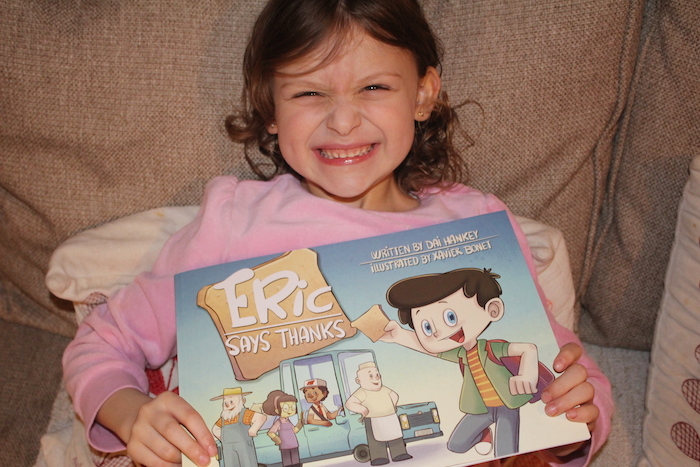 You can win 1 copy of “Eric Says Thanks” children’s book thanks to The Good Book Company. I’m sure you and your children would love this book! In order to have a chance to win this you just need to enter the giveaway below. Good luck! *Terms & Conditions: Open to UK & Ireland residents. 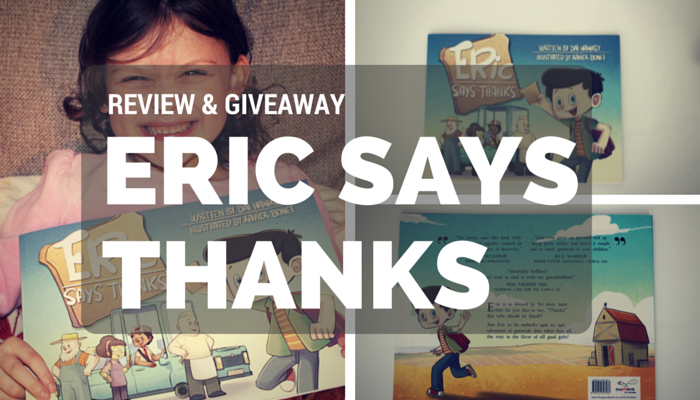 Five winners will win a copy of “Eric Says Thanks” children’s book. These books will be provided by The Good Book Company directly. A Moment With Franca blog is not responsible for the delivery of these books. 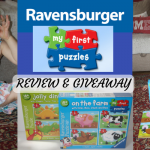 This Giveaway closes on Friday 2nd March 2016 at midnight. The winner will have 48 hours to respond once notification is sent. What do you think of this book? 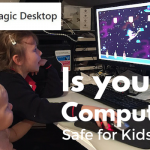 What do you think of the message? Let me know what you think. Leave a comment below as I would love to hear your opinion. *Disclaimer:I received this book in exchange for an honest review. This review is my own opinion and is a genuine representation of what I think. This sounds like a lovely book. 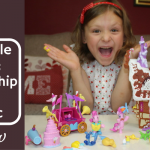 It’s a great idea to encourage gratitude from a young age. 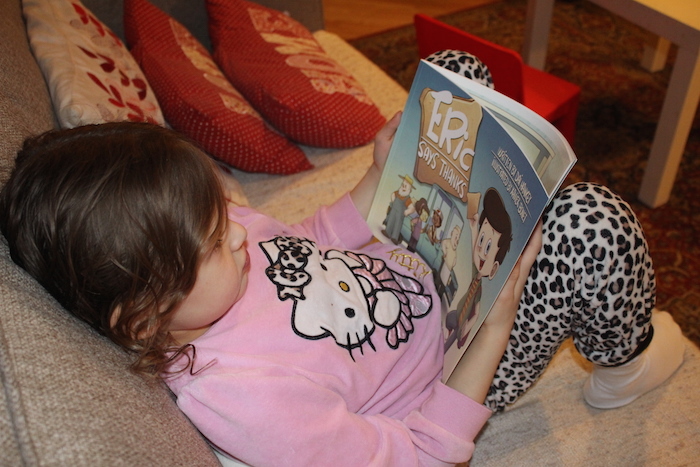 I don’t think anyone can argue against the good message this lovely book sends out ‘to be thankful for the nice things in life’ It looks to be put across in a fun, brilliantly illustrated fashion that both parent and child can enjoy. Sounds fabulous, exactly the kind of thing children should be reading. I like how the book details the people and chain with baking something as simple as bread. Sounds great. It’s so important these days to teach your children that manners cost nothing. Be grateful and polite. This book sounds really good with a fresh new style. 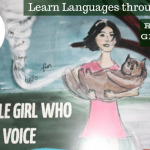 This looks a great book – educational but fun to read at the same time. 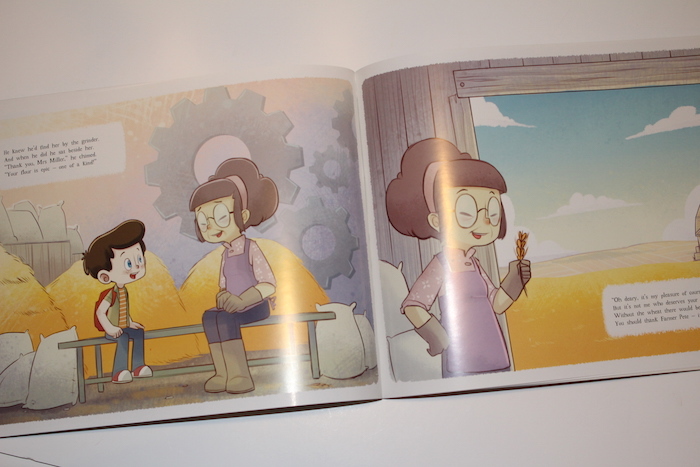 I love the illustrations too! It sounds lovely, and good manners are so very important! Anything that teaches children manners is alright by my book (pun intended). 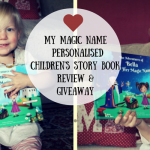 It sounds like a lot of fun to have a rhyming storybook. I also like the message it gives young children.